Sinbad and the Throne of the Falcon was, I believe, Cinemaware's third release after Defender of the Crown and King of Chicago. However it was released for the IIGS in 1990, which is quite late and possibly at that time, the last IIGS Cinemaware release. Oh for "It Came from Desert"! Surprise, surprise, you take on the role of Sinbad. You return to your home of Damaron, a message having been sent to you and received by the Theraniil Stone, a gift from the Caliph. The message is from his beautiful daughter, but she bears bad news: her father has been turned into a falcon by unknown sorcery, leaving his kingdom without an heir and an opportunity for the Dark Prince to seize the city. You must find the Shaman as quickly as possible as he is the only one who can reverse the spell cast on the Caliph. 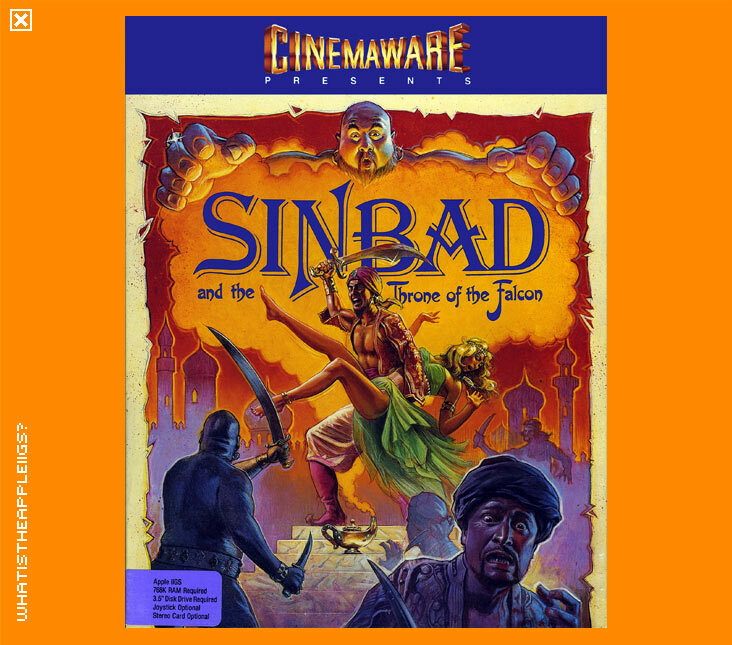 Like other Cinemaware games, Sinbad is a mix of action and strategy, involving resource management and the ability to carry out your tasks without error and as quickly as possible, as time becomes short, as measured on the Theraniil Stone in the form of an hour glass. Strategy and interaction with other characters is achieved with the mouse and all action sequences are played with the keyboard or joystick. Also like its Cinemaware predecessors and successors, Sinbad is different every time you play, with events happening at different times and different items and people to be found in different areas every time you play. You begin in the centre of Damaron with access to your map, Theraniil Stone, your ship via the port and access to several other cities found on that isle, shown on street posts. The status bar on the far left is fatigue and clicking on it will provide you with rest at the expensive of losing time. Travelling from city to city you will meet either the Old Gypsy Lady or Libbitina, the temptress. Both can provide aid and information and the temptress, hindrance to boot (don't think yourself too much of a stud in her company). Talking with them is very similar to conversation with characters in King of Chicago, where you think of what you might say and with the mouse you select that thought you are going to speak. You may also run into Ghent the Cyclops and have to rescue your men. Travelling by sea you will find other people and creatures. You may even find a genie, and from which you can then carry his bottle wherever you go and make wishes when you need. I'd be guessing you could only make three wishes. I haven't progressed terribly well into Sinbad, but it's been fun up to the points I can get to. The action sequences are somewhat harsh on the player if you screw them up, such as hitting a rock as you rescue a sailor or being beaten at swordplay. And don't forget to check your Theraniil Stone to deploy troops protecting vital areas from the Caliph's enemies. The graphics are nice, however a little dithered. 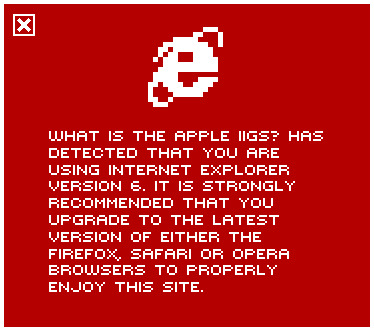 I guess they've been converted from the 32 colour versions of the Amiga. The accompanying music changes with each scene very appropriately. Possibly best of all, Sinbad has the least amount of loading than any other IIGS Cinemaware game released. All in all, another great Cinemaware effort.